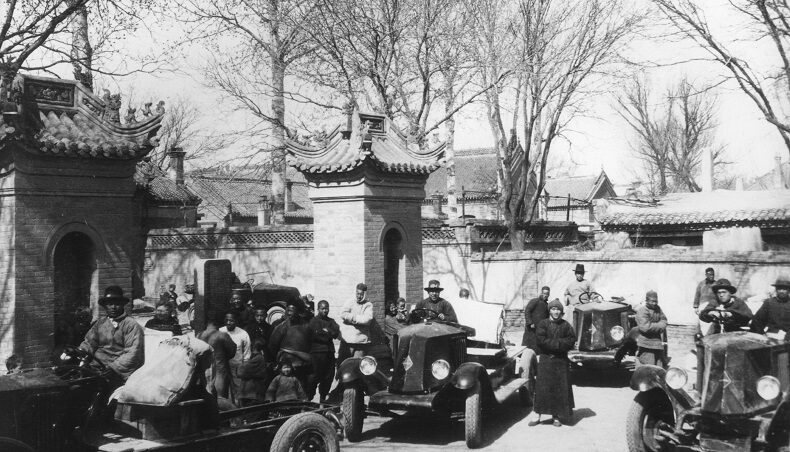 The story of Renault and China began in France in 1925 when Deng Xiaoping came to work at the Renault fitting shop in Boulogne Billancourt from 6 November to 12 December that year. Xiaoping would go on to be Secretary General of the Chinese Communist Party between 1956 and 1967 and President of the People’s Republic of China from 1978-1992. In the 1930s, Renault chassis (10 horsepower O.S.) were exported to the Middle Kingdom for bodywork, but it was really in the mid-1990s that Renault decided to establish fully-fledged commercial activities in China. This began with the manufacture of high-end minibuses between 1995 and 2003, with the focus moving to vehicle imports from 1999. Today, Renault is part of three long-standing joint ventures in the country. In November 1993, Renault entered the Chinese market by signing an industrial partnership agreement with China Sanjiang Space Group. The contract was for the assembly and manufacture of the Trafic Minibus. 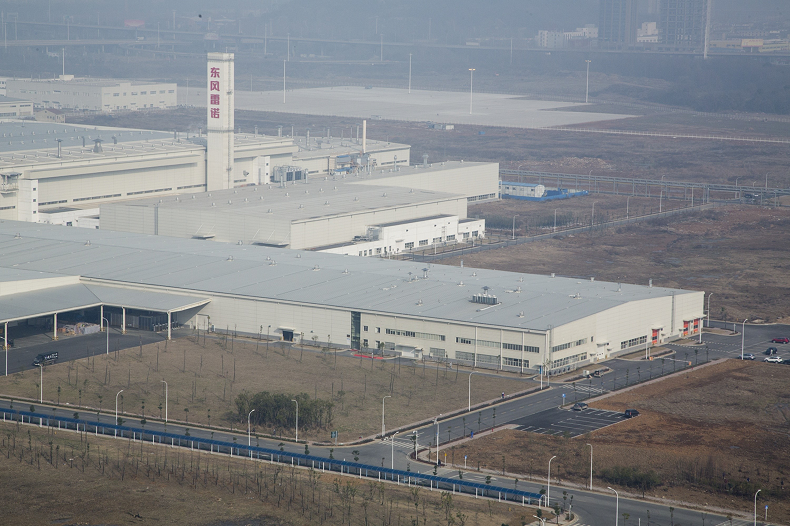 This resulted in the creation of the Sanjiang Renault Automotive Company (SRAC) joint venture in Xiaogan (Hubei Province, 80 km outside Wuhan). At that point in time, the Chinese government decided that the country needed minibuses and that Renault's partner would be Sanjiang. The objective for the joint venture was to manufacture high-end Trafic Minibus vehicles for VIP travel for public authorities and hotels, etc. The reality was different in that the automotive market was driven by demand from private companies and individuals rather than solely by the public authorities. 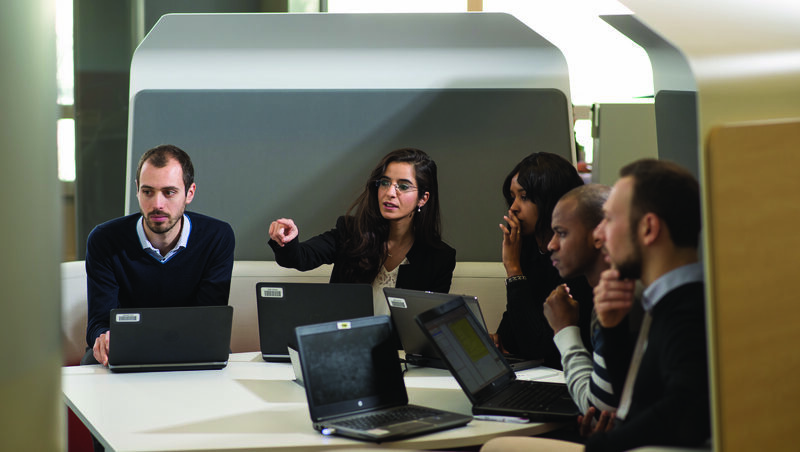 The product no longer corresponded to customer demand and Renault decided not to renew the SRAC product plan. The joint venture was shelved in 2003 and the industrial facilities were put on ice, in other words, shut down but maintained. 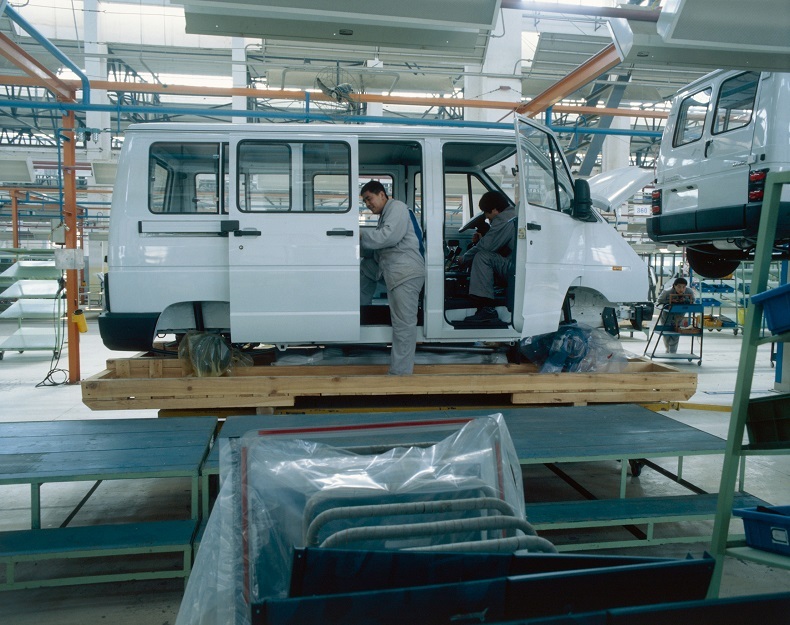 Renault manufactured 6,018 high-end Trafic Minibus vehicles at the Xiaogan plant over eight years. 2004: Renault signed an MOU (Memorandum of Understanding) with Dongfeng Automotive Investment Corporation to create a joint venture for the manufacture and marketing of passenger cars and commercial vehicles. However, the joint venture project was put on hold as the parties could not agree on the location of the manufacturing site. In 1999, Renault began importing passenger cars and developed a sales network. Renault was the first French manufacturer to import vehicles in China (PSA already manufactured vehicles locally but did not import vehicles). Renault went from selling 123 vehicles in 1999 to selling 3,364 in 2006, a figure boosted in particular by putting the Scénic, Mégane Classic and Laguna on the market. In 2006, Renault had a 2.6% share of the imported vehicle market (the CBU market represented 126,000 vehicles and the total market was 4.2 million units). Five importers and their 30 dealers were responsible for sales activity (2007 figures). Renault's sales declined in a difficult environment of unfavourable exchange rates, an ageing range, increased local competition and price wars. 16 January 2007: Create a 100% Renault-owned subsidiary in the interest of long-term operations and to strengthen the business. 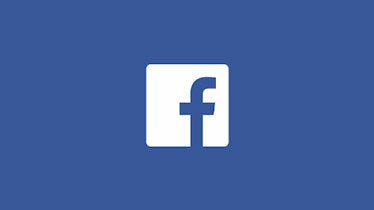 This subsidiary was eventually created in 2010. 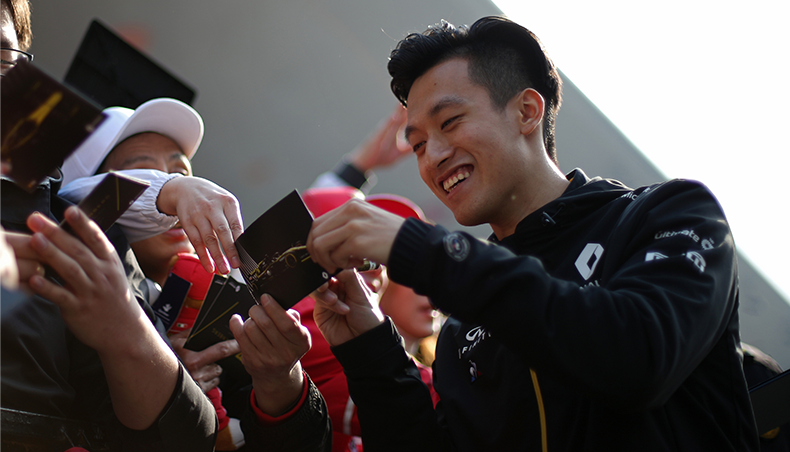 These decisions helped Renault bounce back. The subsidiary imported and distributed Renault vehicles. The five importers also became dealers. Following the joint venture project put on the back burner in 2004, fresh negotiations were underway between Renault and Dongfeng in June 2011. 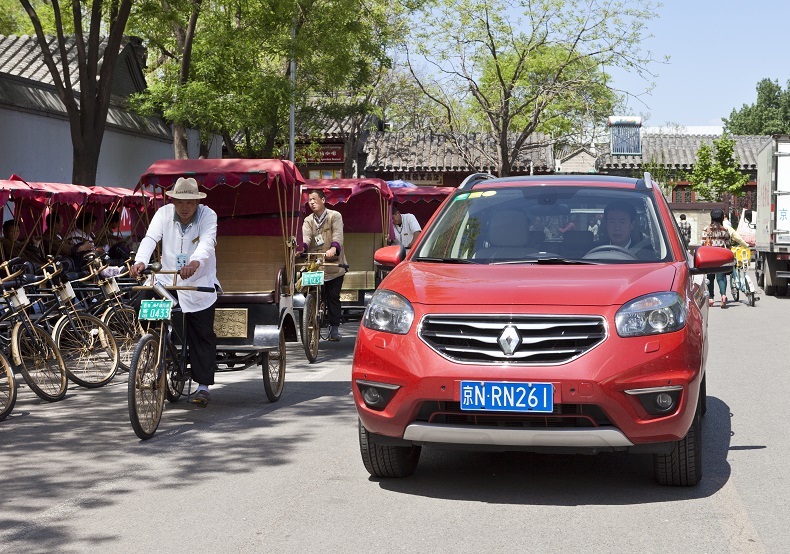 March 2012: A Memorandum of Understanding (MOU) was signed by Renault and Dongfeng. 16 December 2013: An agreement was signed formalising the creation of the Dongfeng Renault Automotive Company (DRAC) joint venture and the construction of a plant in Wuhan. 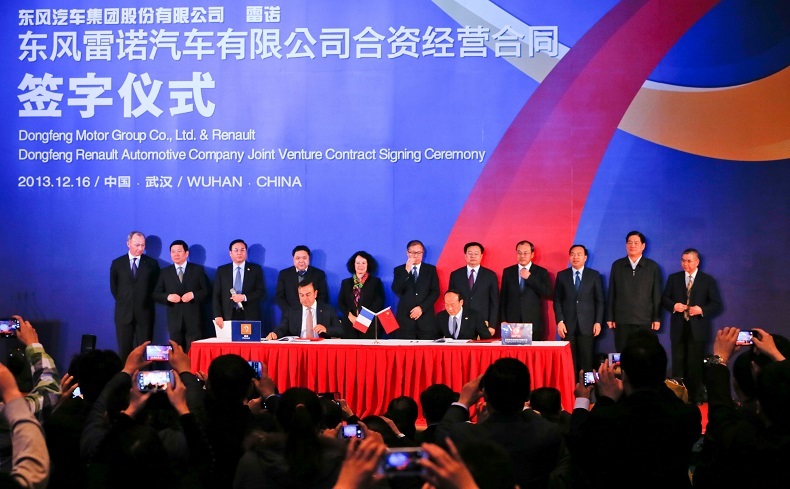 1 July 2014: The DRAC joint venture took over managing the commercial activities of RBAC (Renault Beijing Automotive Co.), the 100% Renault-owned subsidiary. August 2017: A second joint venture was formed: eGT New Energy Automotive Co., Ltd. 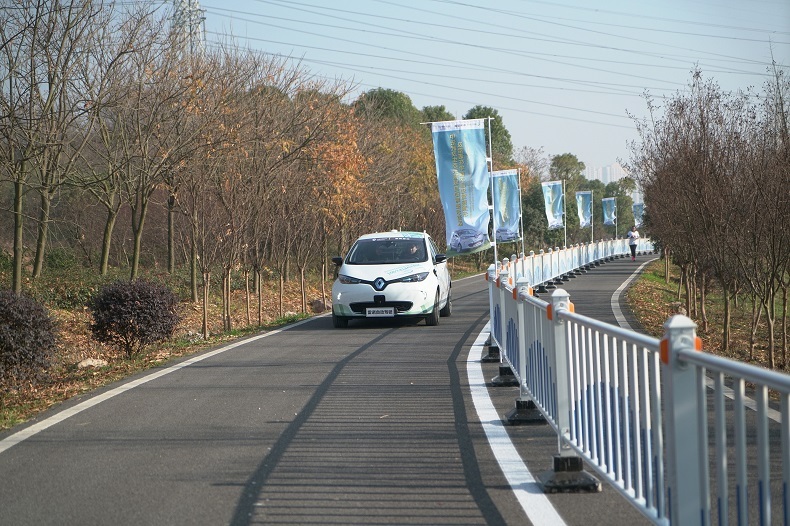 The objective was to accelerate the development of technologies for zero-emissions transport, a priority for Dongfeng Motor Group Co., Ltd. and Renault-Nissan-Mitsubishi. The joint venture relied on each partner's key skills to manufacture competitively-priced electric vehicles. December 2017: Groupe Renault and Brilliance established a third joint venture: Renault-Brilliance-Jinbei Automotive Company. 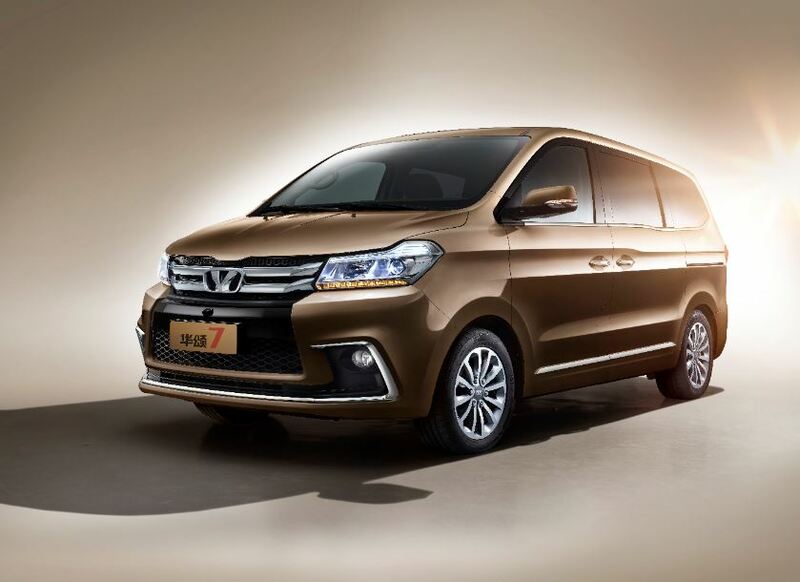 The joint venture manufactures and puts Jinbei, Renault and Huasong brand LCVs on the market. China is the world's largest automotive market, with 28.1 million vehicles sold in 2018. 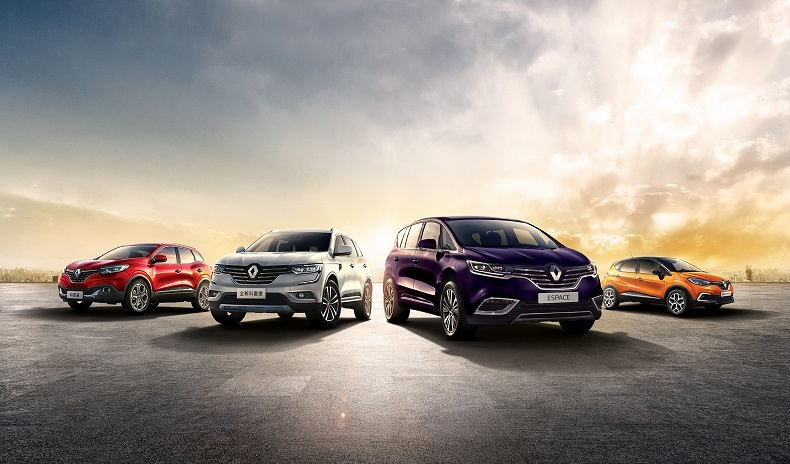 In the same year, Groupe Renault sold 216,699 vehicles in China, an increase of 200.3% compared with 2017 (72,137 sales). 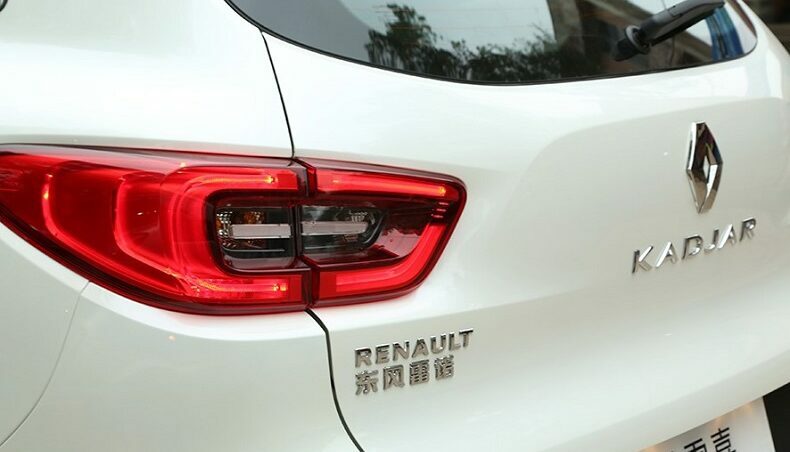 China is now Groupe Renault’s fourth-largest market and one of the main pillars in the Drive the Future strategic plan, thanks to its strong potential for growth.